So there's this little thing called The GotYA. And this little thing is doing something called Flashback Friday. What is Flashback Friday you ask? It's a trip down memory lane where each Friday we visit everything past--from music, to books, to bad hair. So for our Week Two, it's Movies That Shaped Our Generation, or as my title says, Movies That Rocked My Socks Off. Writing inspiration comes from many outlets. The most crazy/exciting/warped ideas can spur from anything. TV, music, books--you name it, because the imagination is not picky. It inspires who it wants to inspire, creates what it wants to create. One of the biggest sources, for me, is movies. Now my inspiration is all about the 2000s. At the turn of the century, I was 12; the verge of the teenage years. Half the movies that shaped my creativity were from books. One of the first movies that really had an impact was X-Men. Now, comic books have been made into movies before, but X-Men's release in 2000 was a big kick in the film industry's bum. Remakes and life action movies exploded. Spider-Man, The Incredible Hulk (the :D version), HULK (the D: version), Batman, Superman, Ironman. They've taken over with no intention of stopping any time soon, especially with more sequels coming out and all new ones like the Avengers, Captain America, and the Green Lantern. It's definitely a boom from the older comics-turned-movie. Of course, comics weren't the only books being made into movies. 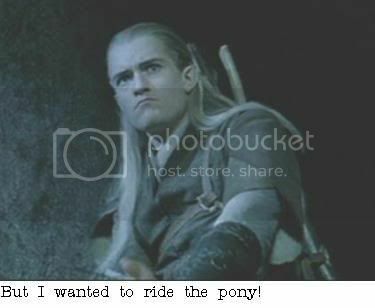 Lord of the Rings anyone? These movies are legendary. Having read the series myself, I deemed it the best book-to-movie film made. As with any movie created from a novel, there were pieces missing, pieces added, lines changes, but still--you really can't get closer than this. It also opened up to fantastic elements in the film industry, taking special effects to a completely different level, a level that I don't think the world has seen since Star Wars. Every animatronic, city overview, and creature looked real, moved like real. Lastly, no list is complete without some sort of reference to Harry Potter. This is a big one for me. These were the books I grew up with. I discovered them shortly after the second book came out. They were drugs for children. And I'm ridiculously happy about that. The movie didn't come out too long after and at that point, MG and YA got a nice boost. Harry Potter really helped to open up the impossible in creativity. Where as MG and YA have always been there, now they were getting noticed. The movies made kids WANT to read, something that wasn't seen very often in kids. I was pretty sure my school was broken up into percentages for those who wanted to read, and those who didn't. I was in that 10% who liked it. The movies changed that though, and I'm thankful. This is AWESOME!!! 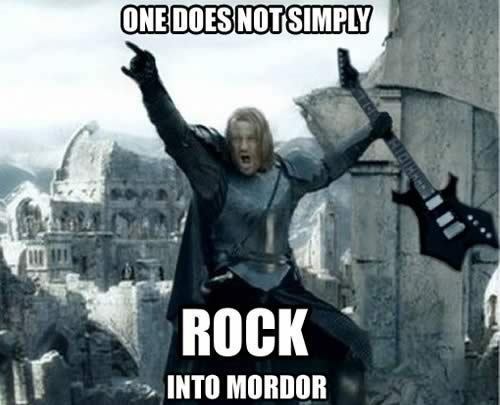 I love the Harry Potter dog and Lord of the Rings rocking into Mordor! These of course were movies more of my adulthood, but they're made of awesome sauce as well!!! And great set-up for the intro on creativity and ideas. I forgot about X-Men! That movie totally should have been on my list. I mean, I guess I didn't really make a list, but still. Worth mentioning. When we were really little, my brother and I used to pretend to be X-Men, and I was always Storm. Now I think she's kind of the lamest one. Times change, I suppose. Such awesome pics! I wholeheartedly agree with Harry Potter! The Wolverine pic is AWESOME! WHERE THE HELL WAS GAMBIT? Seriously. By the time he does show up he's got a watered down accent and is completely dull and isn't doing what he is supposed to be doing (ie hitting on Rogue). @Kath - Yeah, not saying that X-Men was the best of series, but it certainly DID open up all of the superhero movies and remakes.